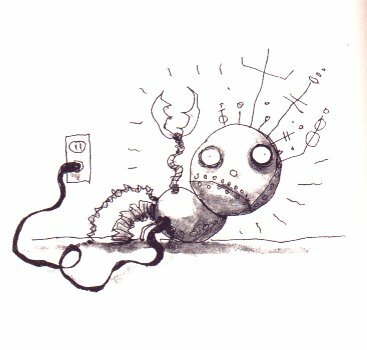 I find it hard to believe that we’ve never shown Hiroshi Ishiguro any love through the Trossen Robotics blog. Well, that changes today. 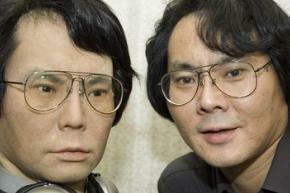 Dr. Ishiguro, you’re a hell of a guy and your androids are as eerily lifelike as any I’ve seen. In this article from Damn Interesting, Dr. Ishiguro’s work is examined in relation to Masahiro Mori’s “Uncanny Valley” graph of familiarity. Check it out! Critical articles are good for an industry because they make people think. The Register has an article called, “Why do robot experts build such lousy robots?” which focuses on the fact that most of what is coming out today isn’t useful in the consumer marketplace. I have to agree with a lot of the sentiments in the article. I myself tire of all the big claims that come out of research labs about how this or that technology will change the world. The real case is that the gap between a labratory concept and commercial product viability is greater than the one between Paris Hilton’s ears. And that’s not a small gap. The criticism that today’s roboticists need to focus harder on real world applications is a fair one. For new technologies to survive and find revenue support they need to prove their viability at improving our lives. Self parking cars that only work half assed are not particularly useful integrations of robotics into our lives. Such “innovations” are gimmicks at best. We know how to park our damn cars. We’ve been doing it for 100 years. What next, a robot that helps me scoot my chair in? The Roomba was a great application of robotics to the consumer market space, hence it’s tremendous success. People want to see this kind of integration repeated. I’m okay with being harsh on roboticists (including myself) because we all need consistent reminders that the market place is harshly Darwinian. Just because WE may be able to imagine wonderful uses for the technologies we play with in the lab, doesn’t mean they have any real world viability in the current market place today. That’s a problem. Research dollars only take you so far. Eventually you have to create something people can use. Tough love is a good thing. It helps keep us focused on the task at hand, and that is building useful technologies.